At Accessible Bath Solutions, we offer home modifications including wheelchair ramps and lifts, doorway expansion, task lighting and switch placement to ensure your home is safe and your lifestyle easier. It can be overwhelming when looking at the wide price range and variety of wheelchair ramps available on the market today. We believe the ramp should take up as little room as possible, and we have some unique solutions. Doorways can be widened to allow for wheelchair and walker access. A minimum of 32 inches should be provided, but it’s even better to have 36 inches if you have the room. With our trained staff, a standard doorway can be made wider in just eight hours. Proper lighting such as task lighting and placement of switches can make a big difference. A dim lit space can be dangerous and lead to slips, trips, and falls. 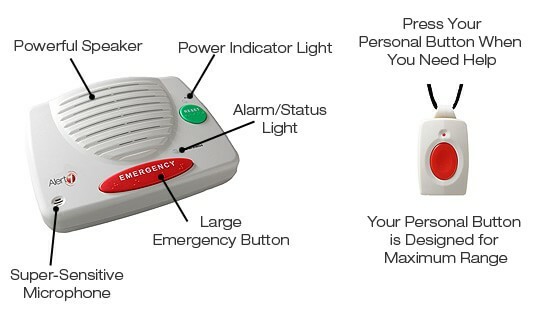 We are an authorized dealer of the Alert 1 Medical Alert System. Alert 1 is ideal for anyone living alone who may be at risk of falling or having trouble with daily activities. This system calls for outside help with the push of a button and saves lives every day.